An important aspect of Expressive Digital Imagery® (EDI) is its ability to support recovery after discharge from clinical programs. Participants frequently use EDI to create images expressing personalized coping strategies. These images serve as visual “Recovery Plans”, reminding individuals of the skills they have identified as being most important skills for staying healthy and avoiding relapse. 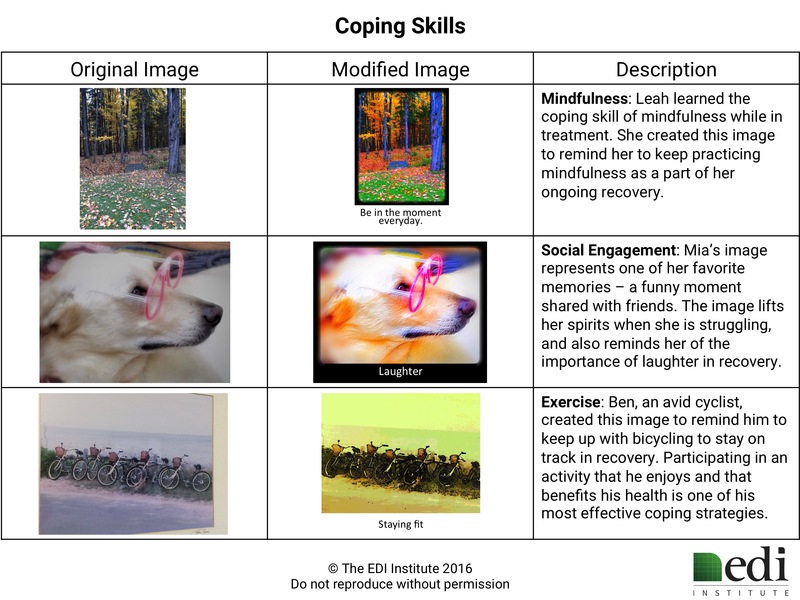 Examples of coping strategies that participants often convey through images include practicing mindfulness, staying fit, engaging in hobbies, adhering to prescribed medicines, and connecting with personal support networks. 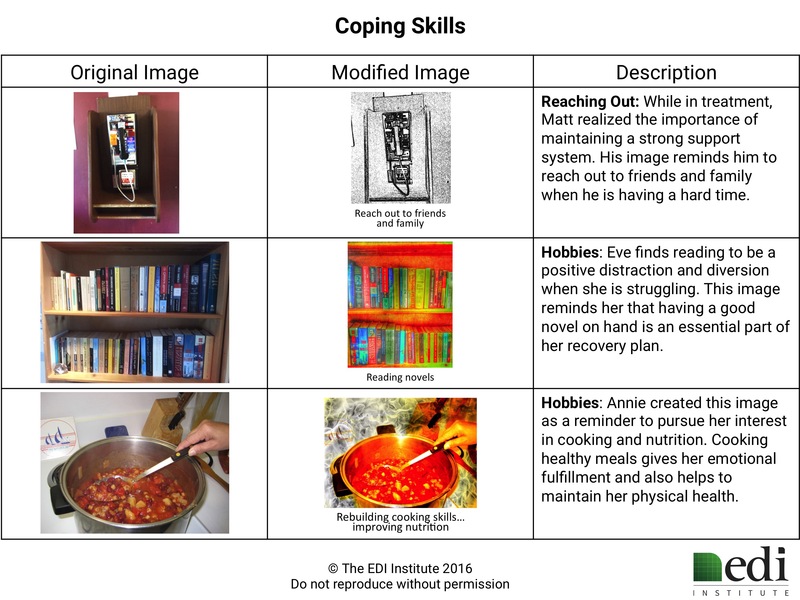 These sample images illustrate various ways that participants have used EDI as active reminders of coping skills.